• Me (before our Bavarian trip): Automobiles, Banking, Super-infrastructure, beer. 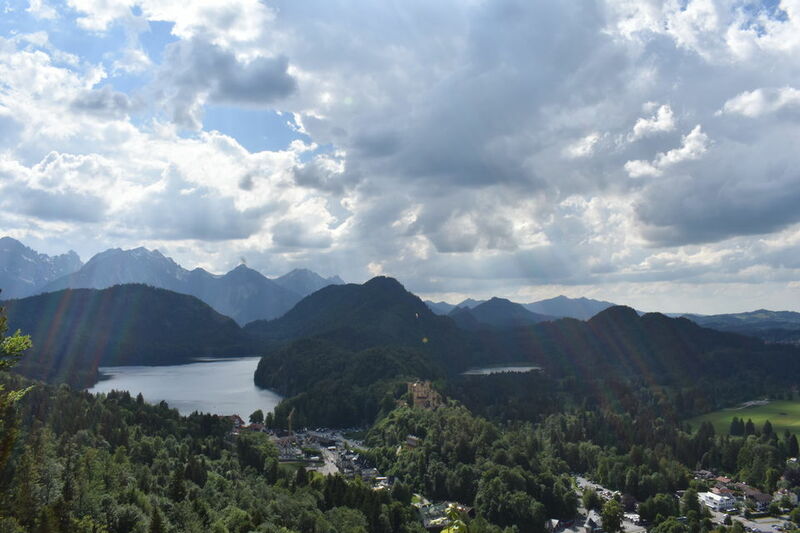 • Me (after our Bavarian trip): Waterfalls, castles, postcard-like natural beauty and of course...BEER. It honestly doesn’t even take a trip to realise how naturally endowed some parts of Germany are, just takes a Map. The beautiful and the romantic Swiss Alps have another side too, and the bulk of that side falls in southern Germany’s Bavarian region. 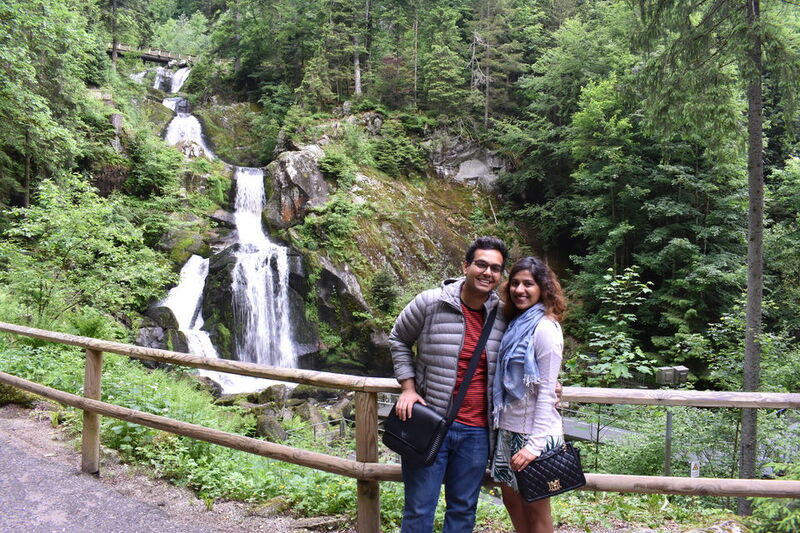 Starting from Triberg, a small town in the heart of region’s Black Forests, we made our way to the beer halls of Munich and then to the enchanting Neuschwanstein Castle to finish our Bavarian adventure on a ‘high’. 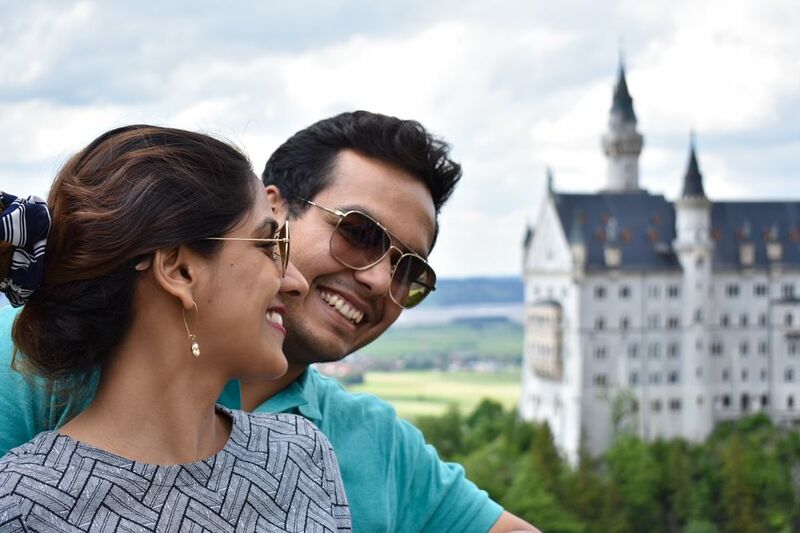 We have highlighted only the best of our "Eat, Sleep, Stay and Shop" at our various pitstops along this Bavarian journey. 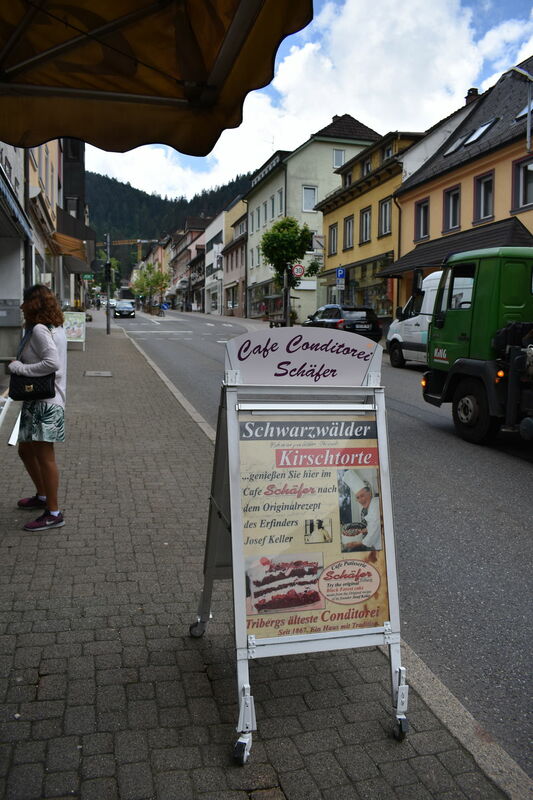 Triberg has a perfect setting, a beautiful town set in a valley surrounded by the Black Forest (The canopy of the forest is so impenetrably dense that virtually no sunlight passes through and hence the name Black forest). With its picturesque landscape, the cuckoo clocks and the original black forest cake, this little town has everything you have known to associate the Black Forest with. You simply cannot get more Black Forest than this. The town is full of boutique family-run hotels. 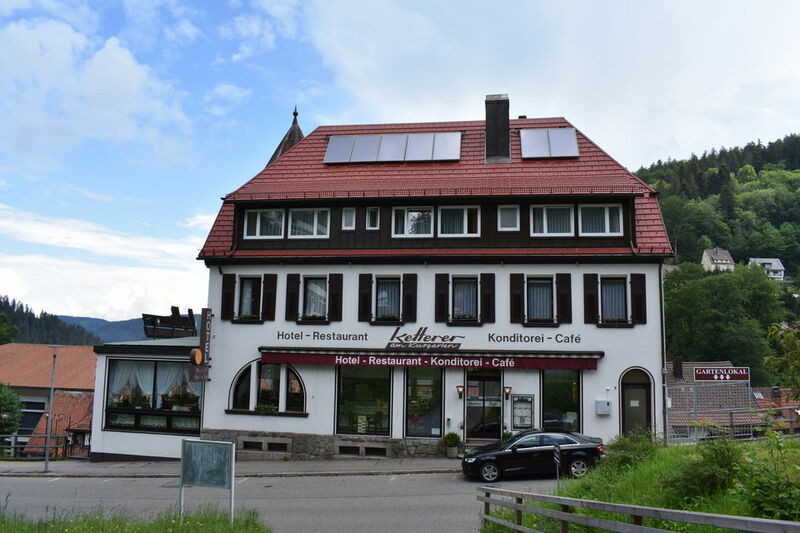 We chose Hotel Ketterer am Kurgarten (EUR 80 per night including breakfast), located at one of the highest points in the town thus offering amazing views from the room and the breakfast table. For the first time in our lives, we were served sparkling wine along with the breakfast buffet. Juice; Black Coffee; Sparkling wine was definitely very intriguing for our stomachs. We shall begin our intriguing breakfast soon :p But first, let's enjoy the view. 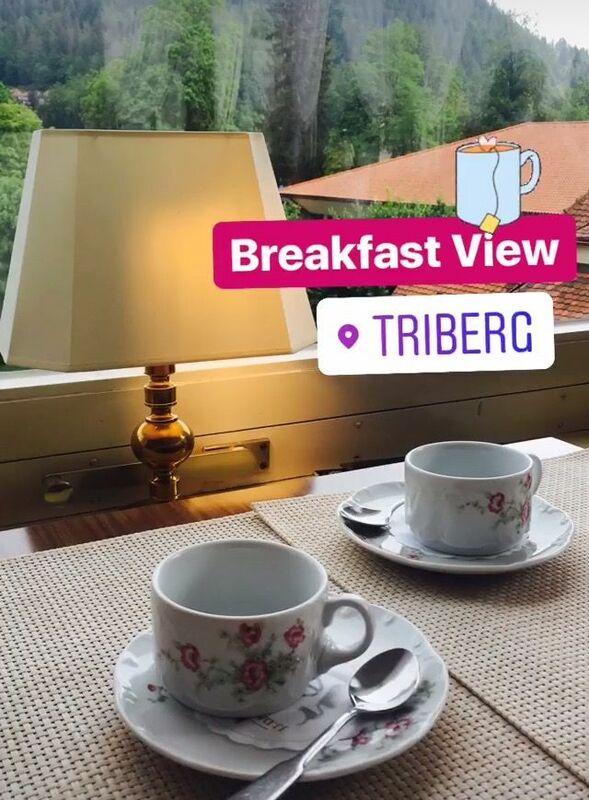 If you stay in Triberg and pay the tourist tax (which is compulsory at EUR 2 / person) you get free access to all regional transport and tourist attractions. Just ask for it at the hotel reception. 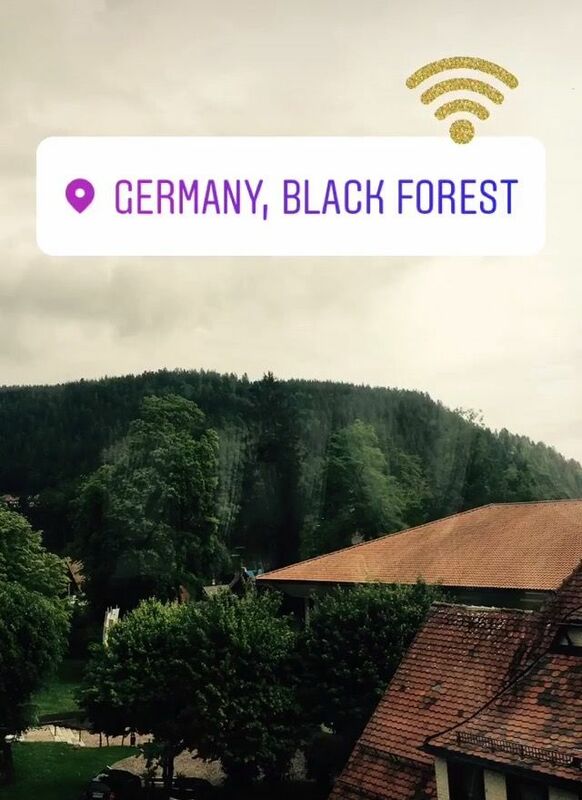 The town is the birthplace of the famous black forest cake we have all grown up with. And it only takes one bite to figure out how the real recipe got lost as it was making its way to India. Head to Cafe Schafer to try the cake made from the original recipe of its founder, Josef Keller. 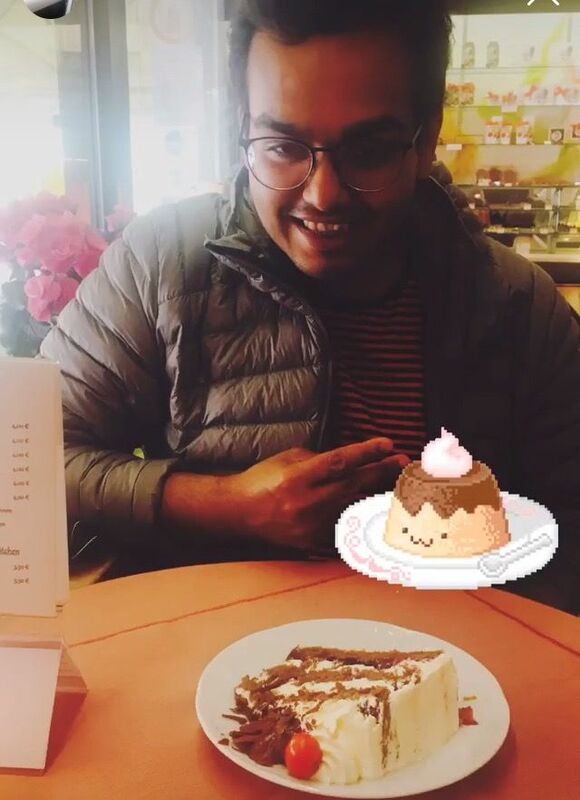 The layers of cherries and whipped cream decorated with chocolate shavings on a dark chocolate cake is delicious and the splash of kirsch liquor certainly gives that surprise kick as you bite into it. The classic setting of the cafe and the history behind this world-famous cake also builds up the culinary experience. Our Delish Black Forest pastry- Yumm! Feel free to try the other pastries as well, we tried the rum-almond pastry and it was yum too. The portions are huge and the pastries are a meal in themselves, will set you back with only 10 Euros for two. 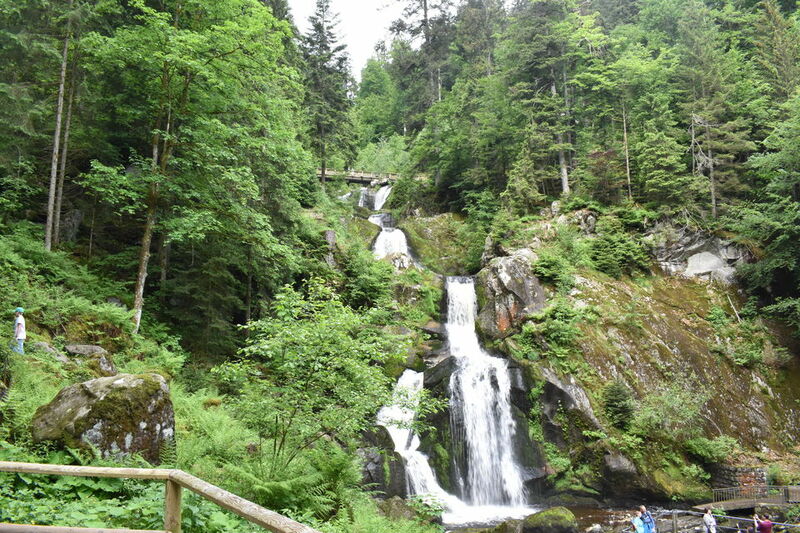 Honestly, we are not waterfall buffs but the Triberg Waterfalls had something unique about it. Its drop at almost 160m (the highest in Germany) over 7 cascades makes it a natural wonder. There are various hiking paths to reach different levels of the falls, but we chose to sit by the base, relax and peacefully enjoy its performance. 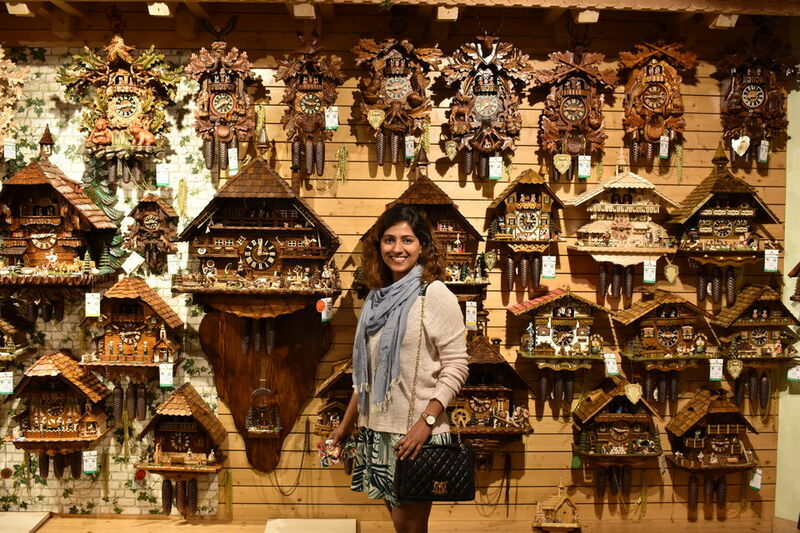 Triberg is known as the unofficial Capital of Cuckoo Clocks in Germany and its sole credit goes to the House of 1,000 clocks (A family business already in its 5th generation). The House of 1000 clocks- evidently so! 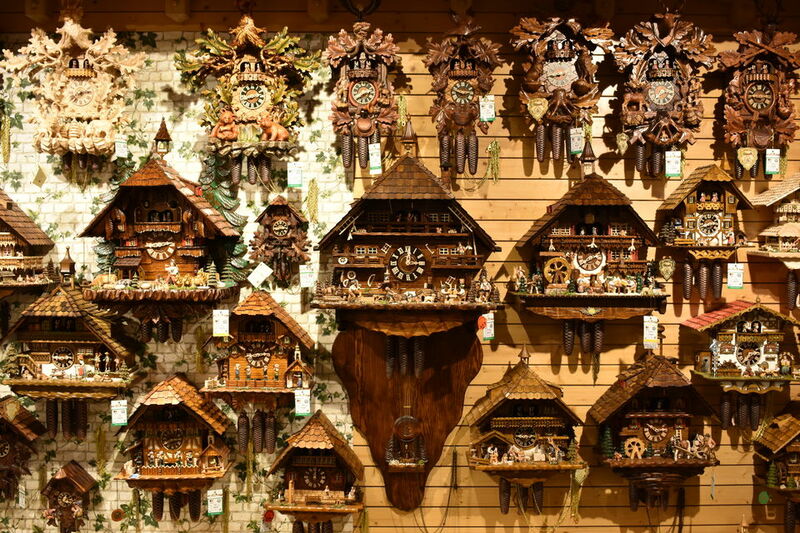 It is the perfect place to buy an authentic German Made Cuckoo clock, period. I agree it will take time when you have literally hundreds of options to choose from; we took at least an hour as well. The best part: they ship directly to India at a flat rate of EUR 60. Ours is already on its way. Bravo, to no luggage issues! Such a picture perfect setting. I want take all these clocks Home. Todi? Even if you are not in the mood to shop, the shop is worth exploring the various musical movements that they have built into their clocks (Read, i.e. The Kissing couple clock, The beer drinker clock and many others). Oktoberfest atmosphere is electric; this is a first-hand account and not a hearsay. If you cannot be in Munich during the fest, don’t worry. The German’s love for beer and their celebration while drinking it can be experienced at one of the many beer halls and gardens in Munich; the same madness, the same singing and the same costumes. The Hofbräuhaus beer hall is a temple where beer lovers come and pay their respects and in return, they get a giant beer jug full of lager from the oldest and the most famous brewery in Munich. This place with a capacity of more than 5,000 people has been here for centuries and a lot of famous (Read i.e. Mozart) and infamous (Read i.e. Hitler) people have hung out here. 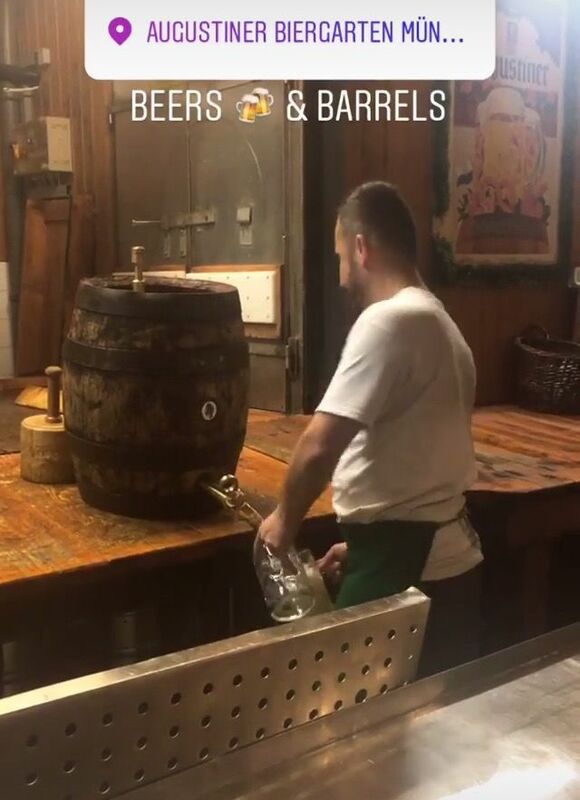 If you are in for a beer garden experience, head to Augustiner-Keller with its extensive (5,000+ again) outdoor seating and mild Edelstoff beer freshly served from huge wooden barrels. A perfect place to relax in the chestnut shade and just people-watch. 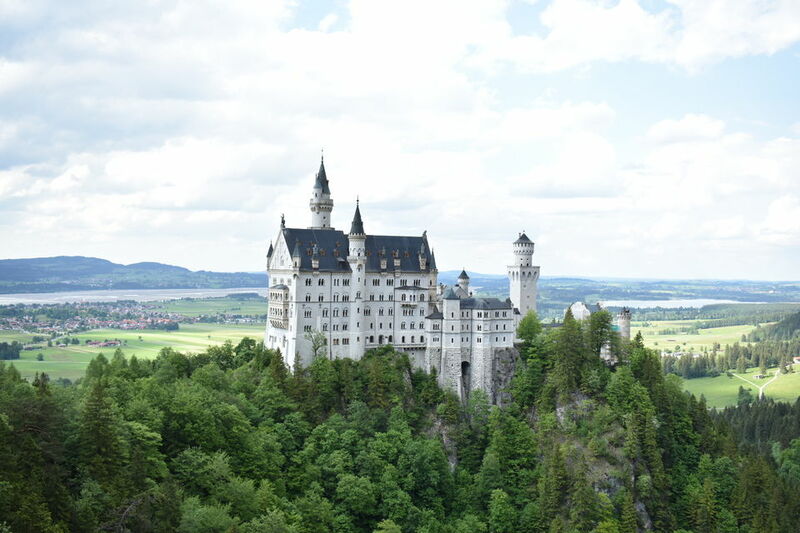 Neuschwanstein is what fairytales are made of ! See: I still look back at the pictures I took of the castle from Queen Mary’s bridge and wonder if I was really there. On our way to the Castle, one footstep at a time. We kept halting to enjoy this dreamy setting. The setting is just too surreal to be true. Because of its sheer magnitude, its location on top of a hill and its unique eye-popping architecture, the castle towers above everything else in the Alpine countryside. Did you know? Walt Disney was inspired here and the Castle of Sleeping beauty is an inspiration from this castle. The castle, in fact is incomplete and has a blotched history which in fact ends up adding to its mysticism. Resembling a medieval German Knight’s castle, it was initially planned as a refuge for the 'mad' King Ludwig II from the outside world. Well incomplete it may be, but even in its present state, the castle is one of the most visited attractions in Europe attracting more than 1.4 million visitors a year. The million bucks view from the top of the castle. Breathtaking ain't it? 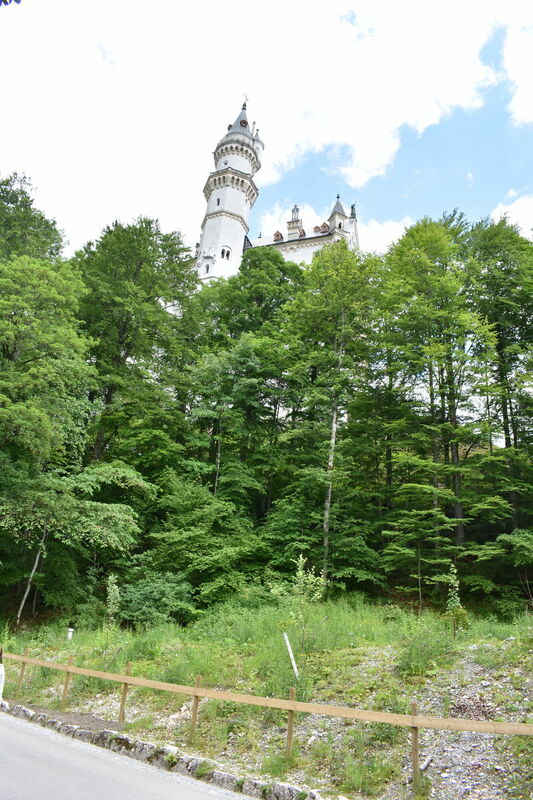 Reaching Neuschwanstein is not that straightforward; here are a few tips for easy planning. Provision 2 hours for the journey from Munich each side. 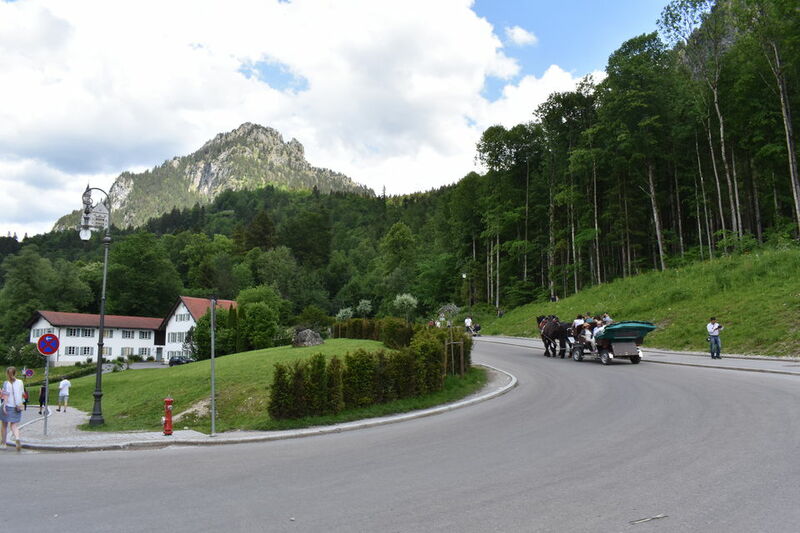 If you take a train, the journey is: Munich, Fussen (1.5h by train), Houshwangu ticket office (15 mins by bus), Neuschwanstein (30 min hike, option to take a horse carriage or bus). There are direct buses from Munich available as well. But being the train buffs we are and the excellent rail infrastructure in Germany, there were no second thoughts in our minds. The only way to get inside the castle is to join one of the organized tours. The tours need to be pre-booked and last only 30 minutes. Yes! All the trouble just for 30 minutes, but it is as much ‘fairytail-ish’ inside as it is outside. If you have your plans frozen, it is best to book in advance on their website as they get sold out fairly quickly. However, if the tours are sold out online, it is best to arrive at Howschwagu very early or later in the afternoon as they do have some reserved for direct sales. Whatever itinerary you follow in Bavaria, whether ours or you squeeze ours into a larger plan, a visit to the Neuschwanstein Castle has to be the climactic moment of your Bavarian adventure. It is undoubtedly the pinnacle of all the experiences there are here; everything else is just downhill from the castle. I have called this country my home for 3 months during my MBA days and I thought I knew Germany well. So much so, if someone asks me about my recommendations for the most romantic journeys in Europe, Germany wouldn’t even cross my mind. But my travels to this mystical wonderland has surprised me in the most pleasant way and I couldn’t have been further away from the truth earlier. Bavaria is an absolute treasure-chest that we have for your next romantic getaway. We next headed to Dachau for a day trip to the first and most intriguing Concentration Camp by Adolf Hitler. You can read details on our day trip here in the next article.